Struggle to eat those greens? You’re not alone sister! Even being a vegetarian, I don’t always do so great at eating the veggies. In fact, I’m probably the only vegetarian on the planet that totally dispises salad! Thankfully, there are some amazing products and superfoods out there that help us vegetarians, vegans, and even meat-eaters get our daily allotment of fruits and veggies, protein, omega’s and more! The Nature Sustained Super Foods are a few of my 3 favorite superfoods for helping me fill my body with much-needed vitamins, minerals, nutrients and more! In fact, they pack so many good-for-you foods and ingredients in these products, you really don’t need to worry about what you’re consuming the rest of the day (but that is no excuse to go binging on that chocolate cake!) Continue to eat healthy and workout, and these fabulous superfoods will help fill in all the rest to help keep you at your very healthiest! While a lot of superfoods out there will help give you some awesome nutrients and vitamins, Nature Sustained goes above and beyond by adding mood-enhancing ingredients, immune boosting, libido boosting, and many more other health benefits you just won’t find in ordinary superfoods. PLUS – you get it all without GMO’s, soy, dairy, or gluten when you buy from Nature Sustained. They use only raw, wild-crafted, plant-based ingredients in their products, so you can rest assured you’re only consuming GOOD-for-you ingredients! 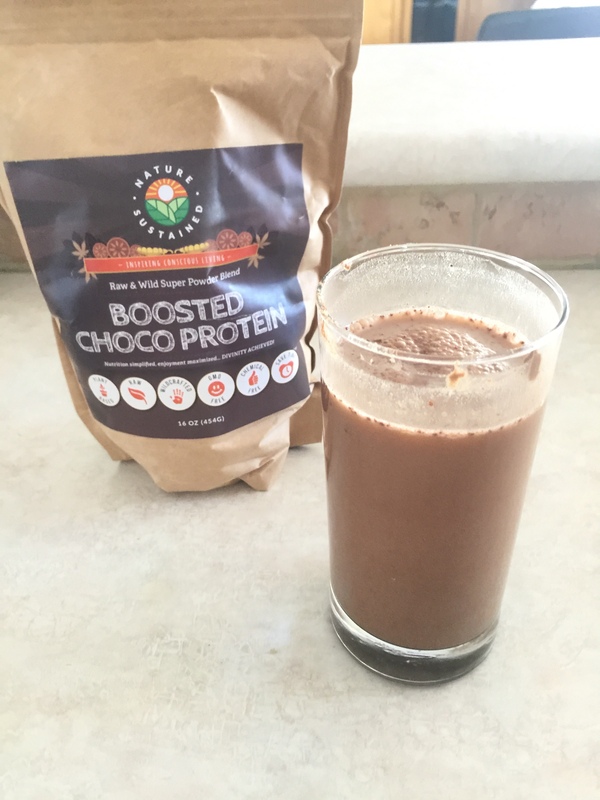 The Boosted Choco-Protein Powder from Nature Sustained is my favorite, and unlike basic protein powders out there, this one is vegan AND it contains hearth health omega’s, antioxidants, vitamins, and minerals, and is created to help improve stamina, increase concentration, energy, and libido, and it will help aid your exercise by increasing endurance, and reduce recovery time too! This awesome protein powder also has feel-good neurotransmitters in them too, along with a host of other amazing benefits (see my video below to see the rest, as well as the other fabulous benefits you’ll get from drinking these amazing 3 superfoods! Interested in trying out some of these yummy, super nutritious superfoods from Nature Sustained? Shop them Here on Amazon! 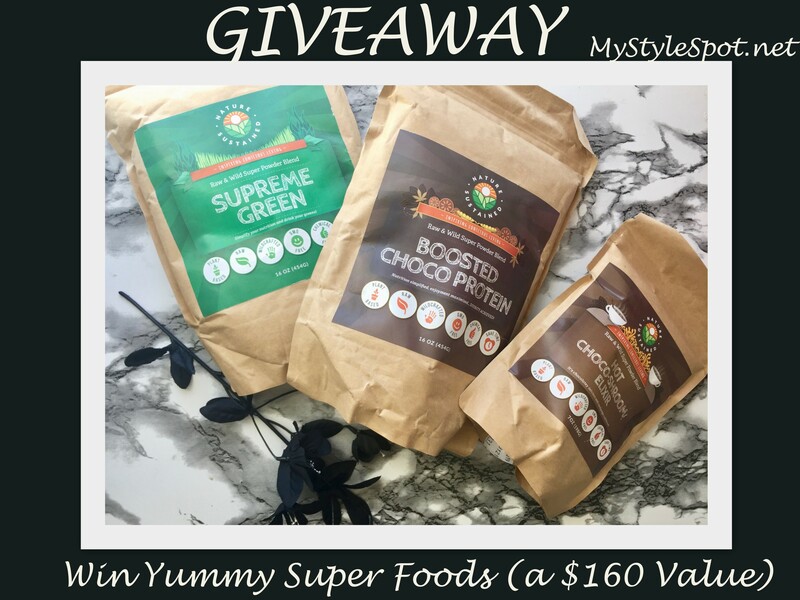 Also, the lovely people of Nature Sustained are letting me GIVEAWAY these 3 super healthy superfoods to one of my fabulous readers! i would try the choco protein first for my daughter! 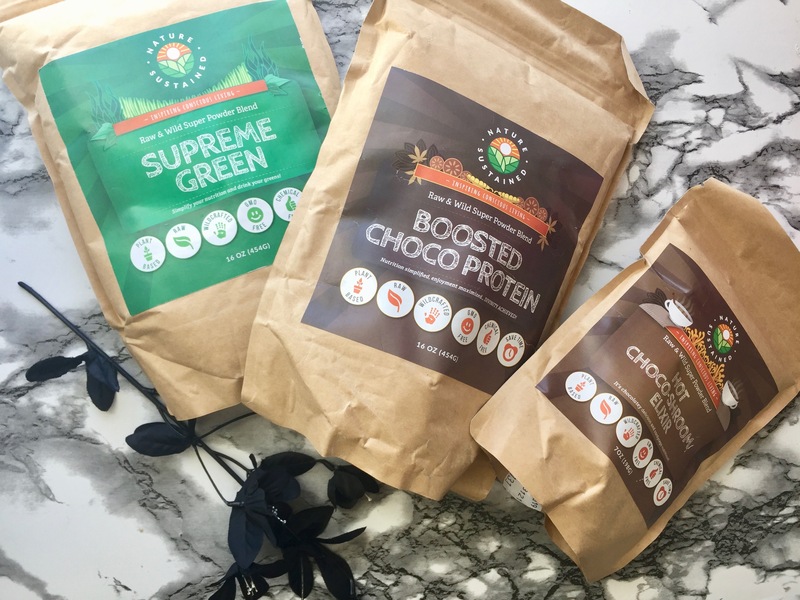 I am most excited to try their Boosted Choco-Protein Powder. 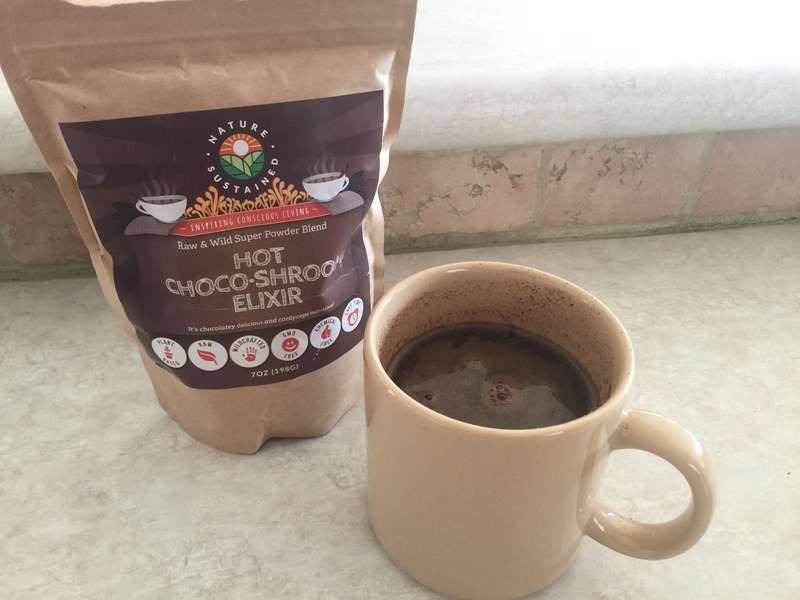 I’d really like to try the Hot Choco-Shroom Elixir. Boosted Choco Protein. love using superfoods in my smoothie bowls. This would be so super to try! Im excited to try the Hot Choco-Shroom elixir!! I bet its delish and Ive heard so many awesome benefits from mushrooms! I couldn’t find these online. Do you know if they are dairy, gluten and sweetener free? Looking forward to the Supreme Green! Seems BOOSTED CHACO PROTEIN would be a nice try. Boosted Choco-Protein Powder would be the one I am most excited to give a try it looks good.